The long anticipated release is here, we have spent a lot of time and resources to make this happen. These polyurethane Bushings replace the worn problematic #2 Caster Arm bushing up front on the IS300 with caster adjustment. 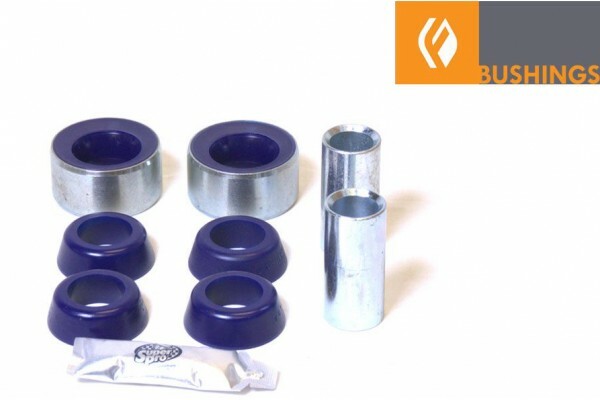 Unlike other product offerings in the market, these bushings are specifically engineering to work in the rocker function that the stock version does. This means no egging out, no deformation, no noise, just performance. This version is adjustable(offset) allowing for positive or negative caster changes. 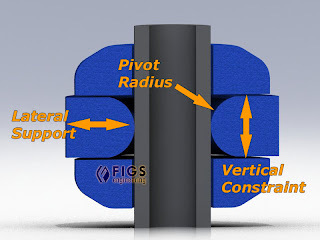 Caster adjustment is accomplished by clocking the bushing in the desired orientation prior to pressing bushing int the arm. For more caster press the large bushing area towards the rear of the car. Once press fit simple assemble the center cylinder and end caps with the included grease and let the good times roll. We searched for 3 years for a great manufacturer to make these and SuperPro delivered. We invested the time so you can get them with 1-click, enjoy. Set includes 2-Bushing sets for to replace both front arms. Includes grease.